The island of Fournoi Korseon (or simply Fournoi) is located between Samos and Ikaria, islands to which it is connected with almost daily ferry schedules. Fournoi is connected to Athens with ferries that go to Piraeus. The ferry timetables are not quite dense though as even during the summer season there is no daily ferry. However, Ferryhopper can provide you with nice solutions to travel through Samos, Ikaria, and even Kos! Apart from these islands, there are also other two groups of islands that are directly connected to Fournoi. 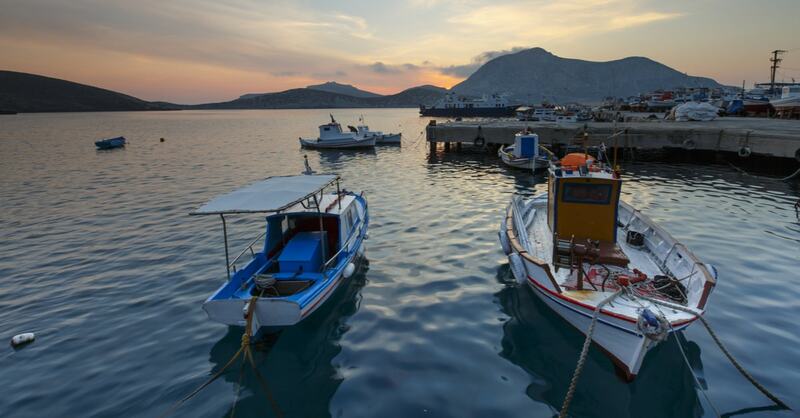 The first is the islands of the Dodecanese as Patmos, Lipsoi, Leros, Kalymnos, and Kos. The other is the islands of the North-eastern Aegean as Chios, Lesvos, Limnos and Kavala, a city Located in Northern Greece. Finally, it is important to mention that there is a daily boat serving the route between Fournoi and Thymaina, the small island located beside Fournoi. The island of Fournoi has one of the more unique shapes among of the Greek islands. There are a lot of small gulfs and bays, places in which pirates from all over the Mediterranean were hiding during the 15-19th century. One of the most interesting trivia about Fournoi is that their shape looks like a lobster. And, indeed, the sea around this Greek island is full of lobsters! The island of Fournoi combines very nice beaches, delicious food (lobster and octopus are abundant) and a relaxing serenity. In the main square in the middle of the village of Fournoi, you will find warm and authentic locals ready to share their stories from their trips as they used to be seamen in the past. If you are staying at Fournoi, you should visit Thymaina, the small island just on the opposite of Fournoi. Thymaina is wonderful, with two small villages and some beautiful isolated beaches, accessible either on foot or with a small boat.